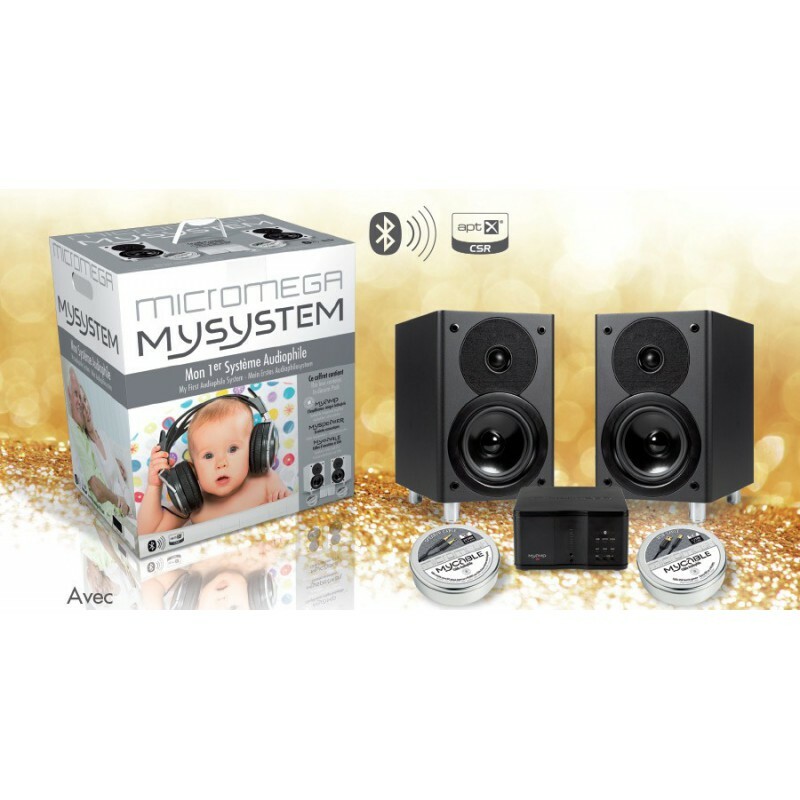 The Micromega MusicSystem is a comprehensive system that consists of a pair of MySpeaker speakers, an all-in-one amplifier, two 3m speaker cables, a USB cable and an optical cable. 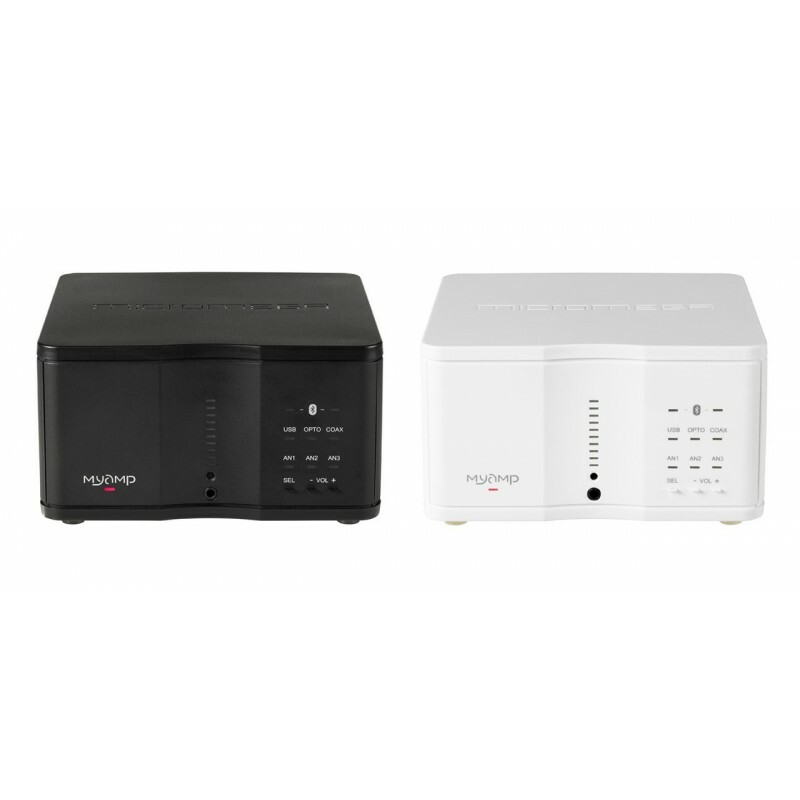 The Micromega MyAmp is a comprehensive integrated amplifier boasting analogue inputs, digital inputs and a headphone output, and also doubles up as a Bluetooth receiver. 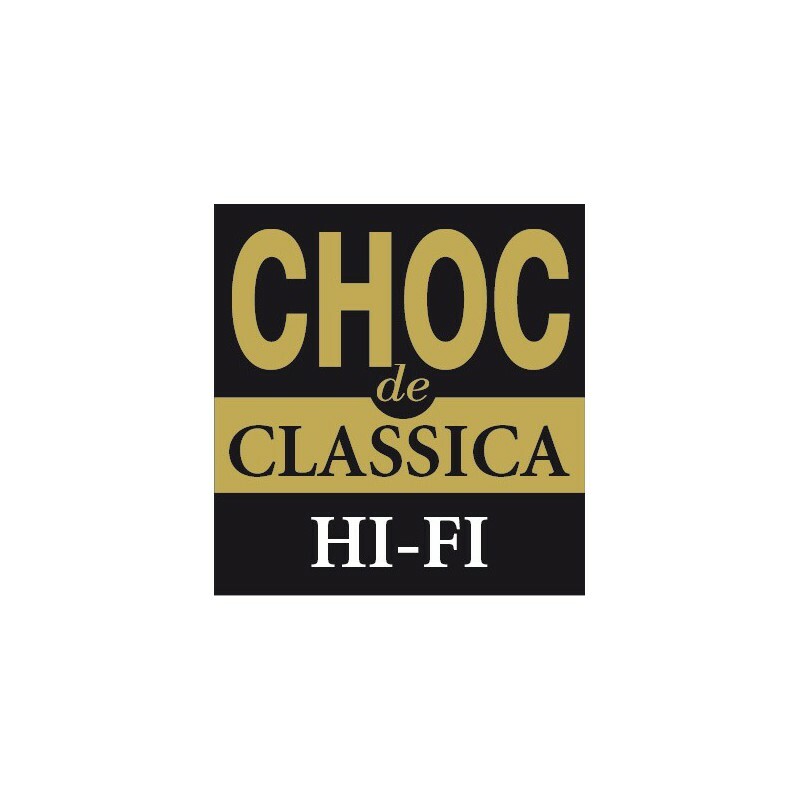 It has 3 stereo RCA analogue inputs that can be hooked up to any source with stereo analogue outputs such as a radio tuner or CD player. 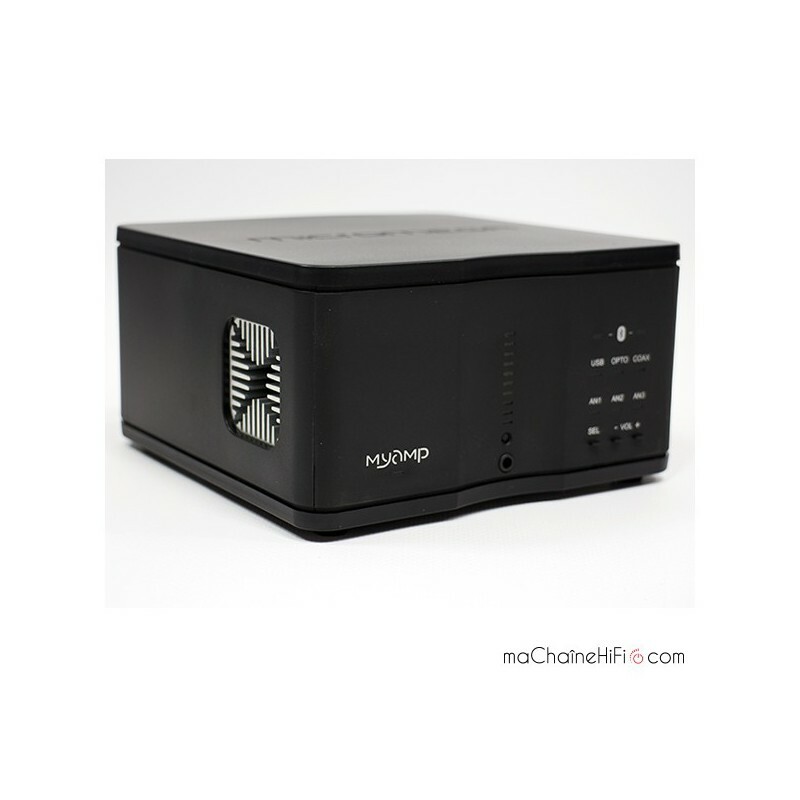 Its coaxial S/PDIF input and S/PDIF optical input mean that you can connect to any source with one of these digital outputs, such as a satellite receiver or television. And last but not least, its type B USB input lets you connect it to a computer and play your music through internet radio or a streaming platform (Deezer, Qobuz, etc.). Other perks of the Bluetooth input are that it can save up to 8 Bluetooth-enabled devices (smartphones, tablets, etc. ), streaming music wirelessly but with the quality of a CD thanks to its ability to handle resolutions and sampling rates of up to 16 bits/48 kHz. 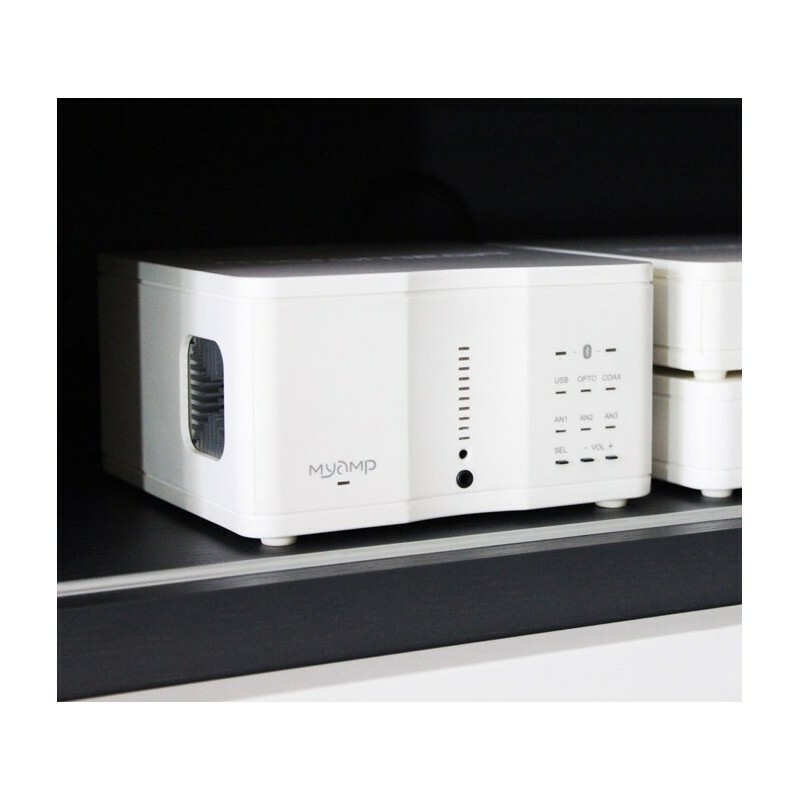 When you use the Bluetooth function for the first time, the MyAmp will be in its pairing mode. This will be indicated by the LED lights around the Bluetooth logo flashing red and blue alternately. To finish the pairing process, just select MyAmp on the mobile device you wish to use. The 3.5mm jack headphone output will automatically cut out the speaker outputs and the volume adjustment will be completely separate. On the front panel is a set of LED lights – the top and bottom lights are red and the lights in between are white. They will indicate the volume level and the top light will flash red if the maximum power is exceeded and the volume should be lowered. 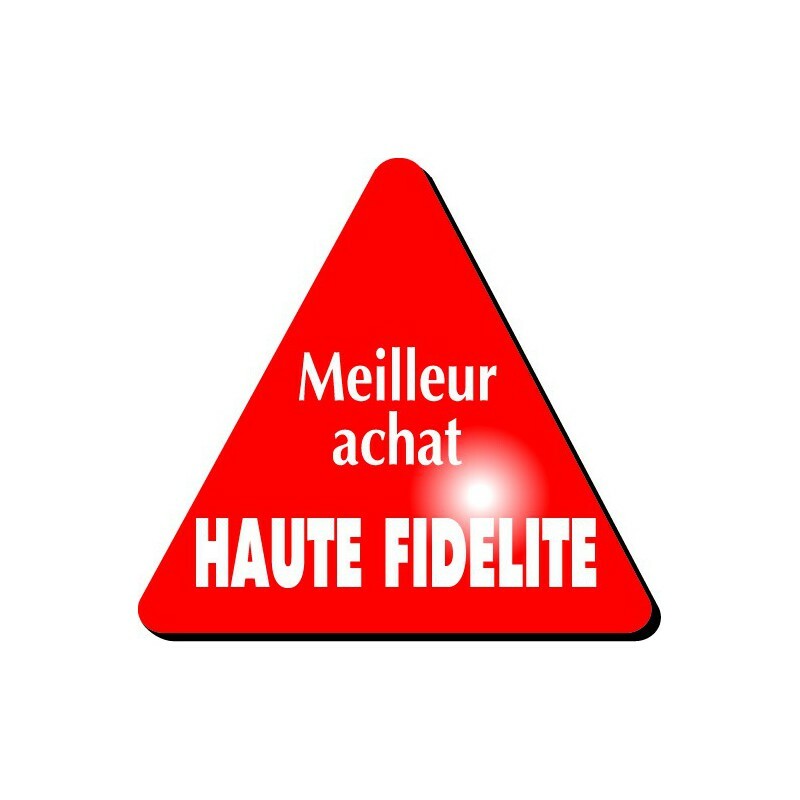 Source selection and volume adjustment can be controlled either via the front panel or remote control. 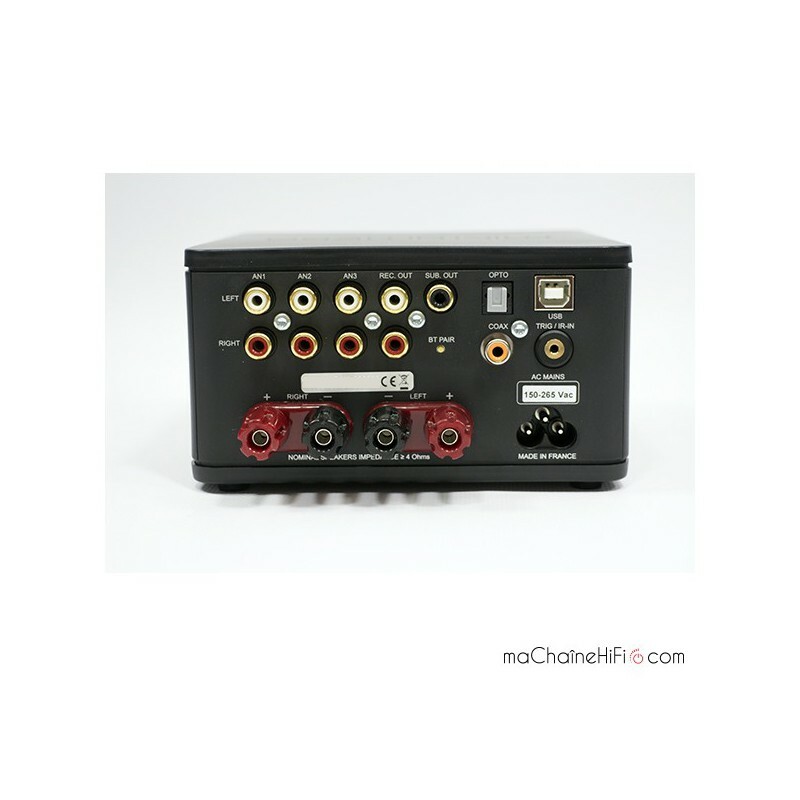 The S/PDIF inputs (coaxial and optical) accept resolutions of 16-24 bits and sampling rates of 192 kHz. The USB input accepts resolutions of 16-24 bits and sampling rates of 96 kHz. The power stages are class A/B and as such require the use of a radiator. This also means that the MyAmp needs to keep its cool, and it does this using an extremely quiet fan designed specifically by Micromega itself. 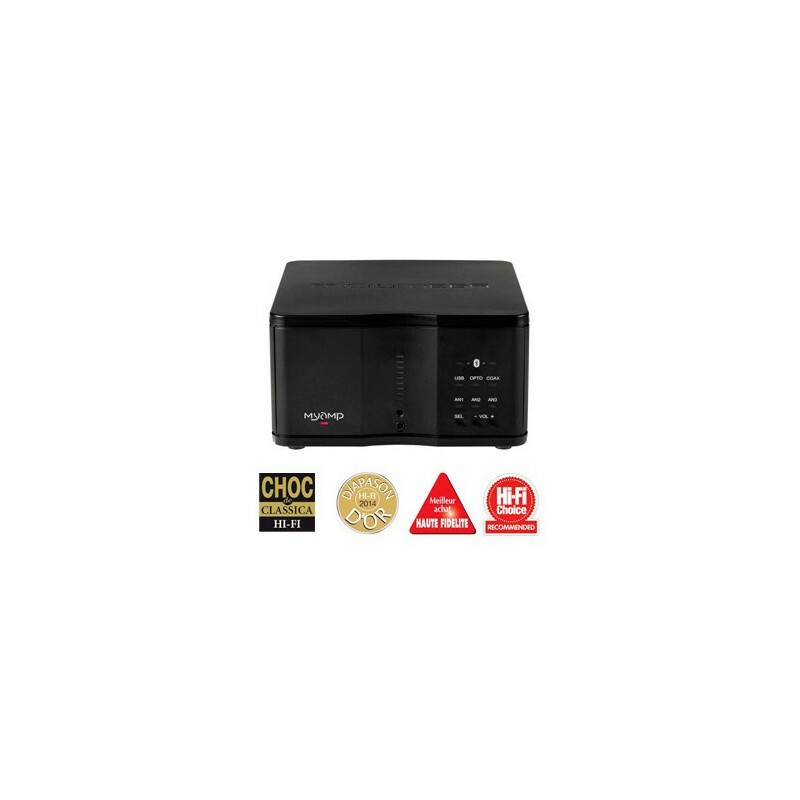 This provides sufficient ventilation to avoid overheating, but Micromega still recommends leaving a space of 10cm around the device to ensure extra protection. 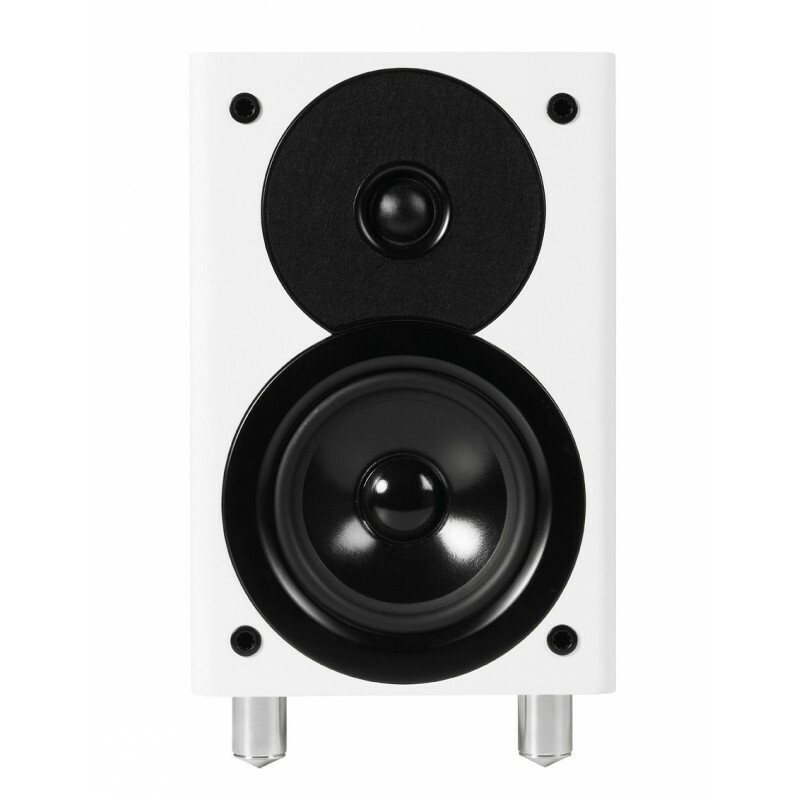 When combined with a pair of bookshelf speakers, such as the Micromega MySpeaker speakers, the MyAmp delivers an impressively well-defined sound. And it'll quickly become integral to your sound system, as it can accommodate up to 7 sources (4 digital and 3 analogue)! 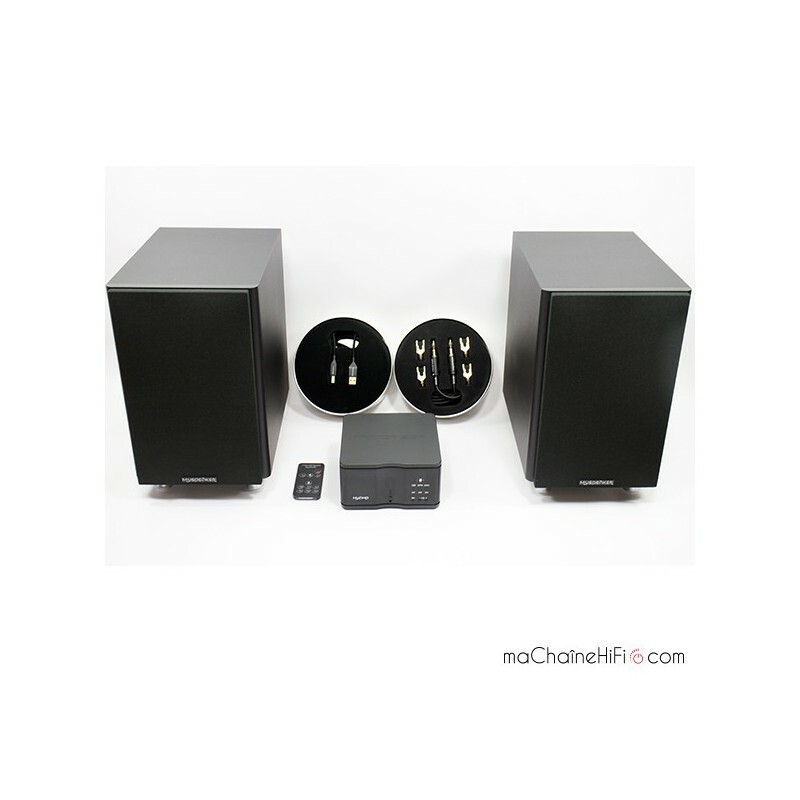 These Micromega MySpeaker speakers are 2-way bass reflex speakers. 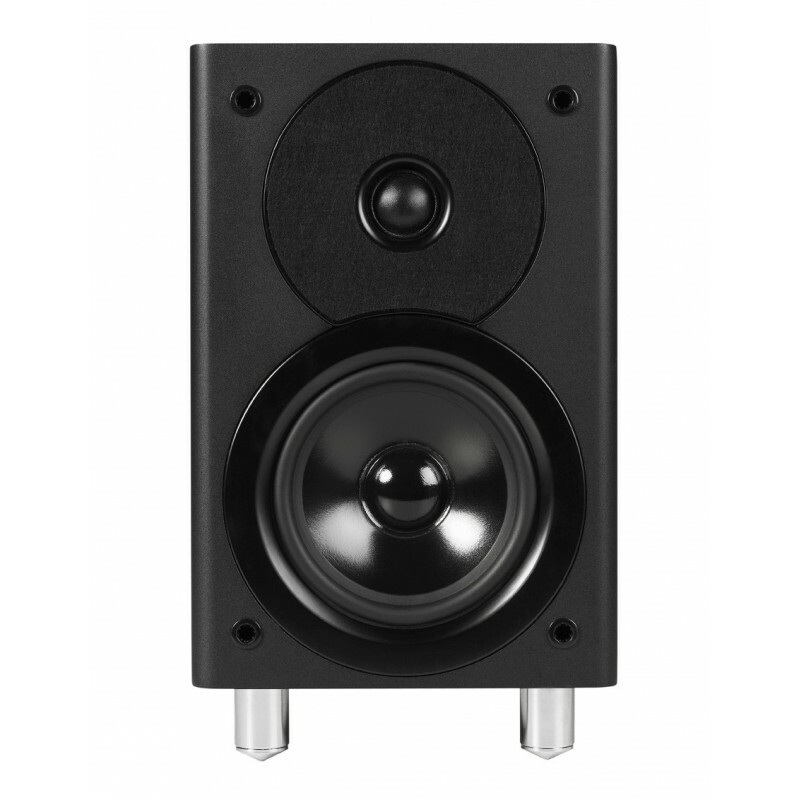 The 2.5cm tweeter is a high-frequency transducer and the midwoofer is a 13cm transducer. 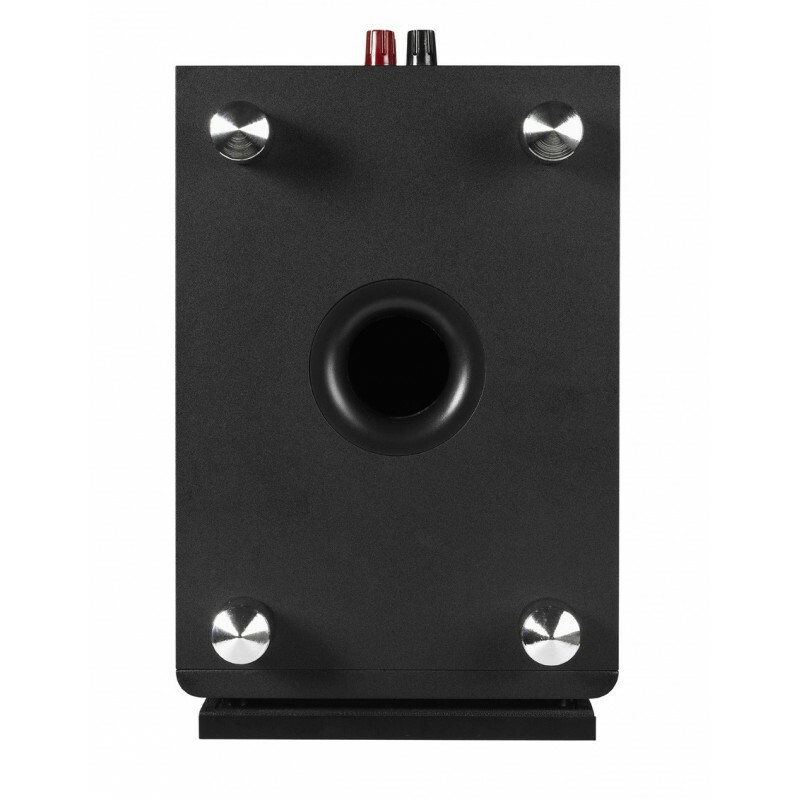 The port is located underneath the speaker, which means you can position these speakers relatively close to the wall if you want to ramp up the bass! 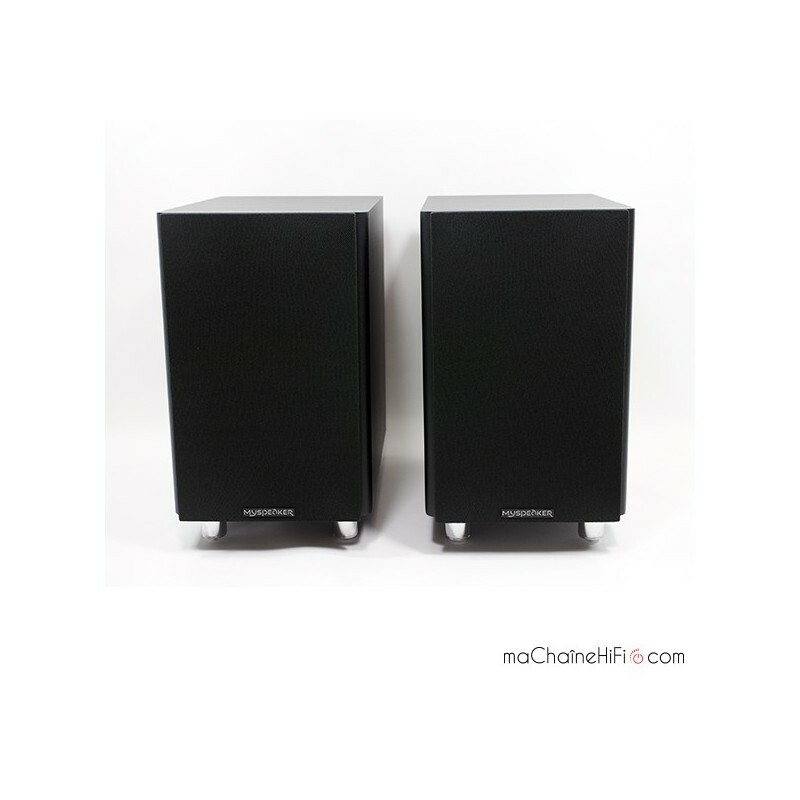 The Micromega MySpeaker speakers sit on a base of 4 spikes to prevent any form of vibration. 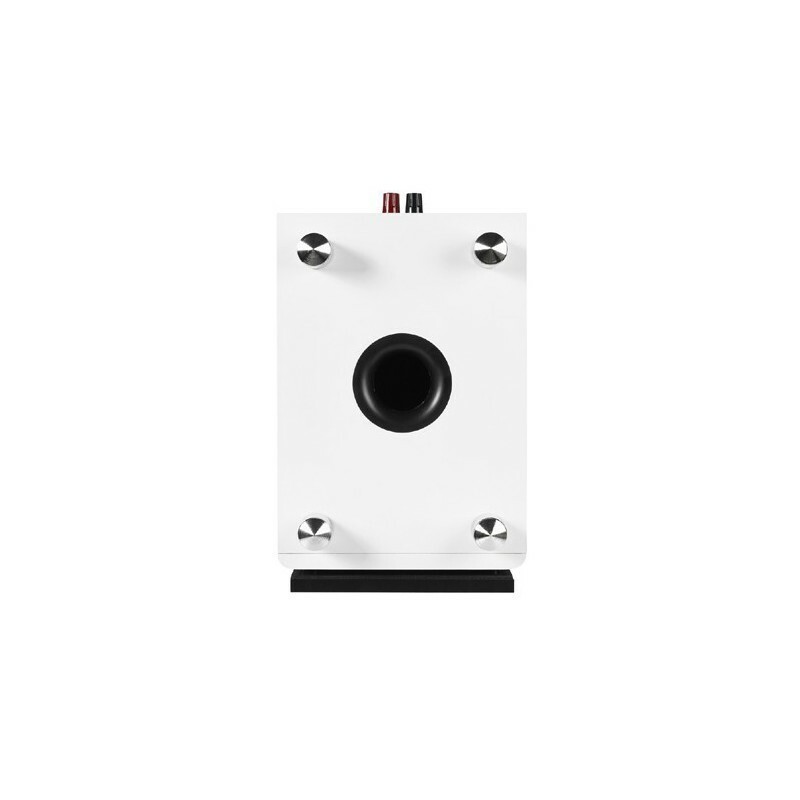 It has an output of 90dB, which means it can be easily connected to an integrated amplifier with a power capacity of anywhere between 25-90W max. They are available in 2 colours, black or white. The Micromega MySpeaker has 4 speaker terminals for bi-wiring and bi-amplification. These terminals work particularly well with the Micromega MyAmp all-in-one integrated amplifier and Micromega MyCable speaker cables. You can connect the speakers to the MyAmp amplifier using two 3m Micromega MyCable cables. These cables are made of gold-plated OFC copper (oxygen-free copper). 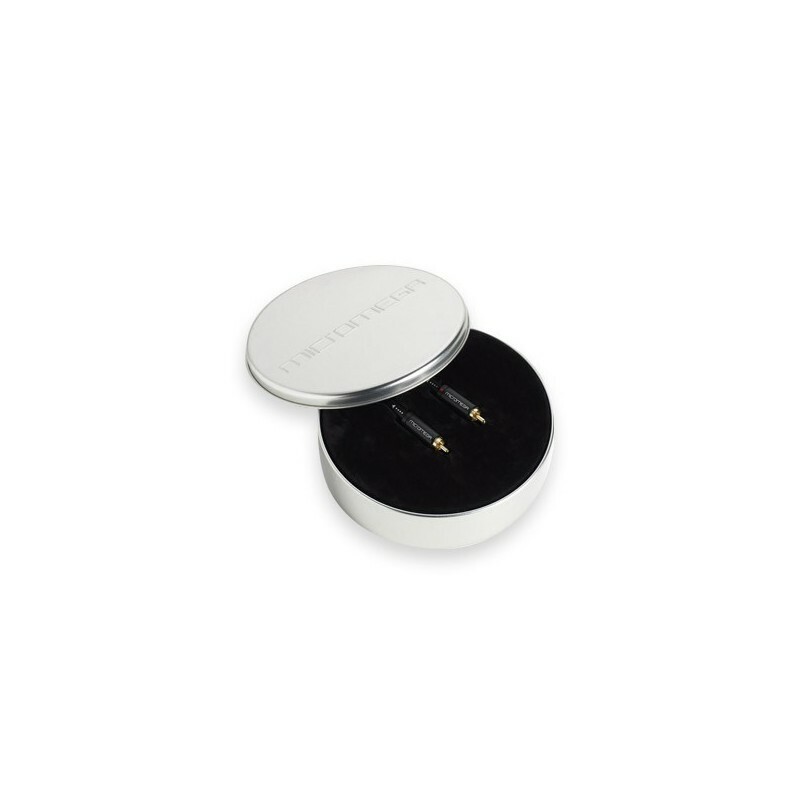 The connectors are also gold-plated to ensure excellent contact. The USB 2.0 cable (A-B) is 1.25m long and is also made of OFC copper with gold-plated connectors. 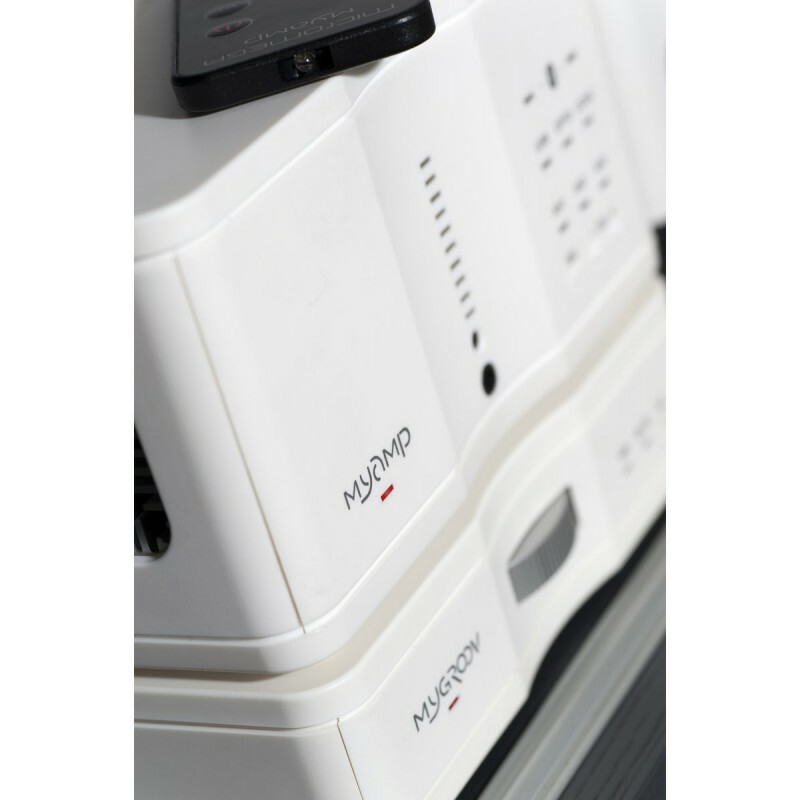 The Micromega MySystem is perfectly suited to small and medium-sized rooms. 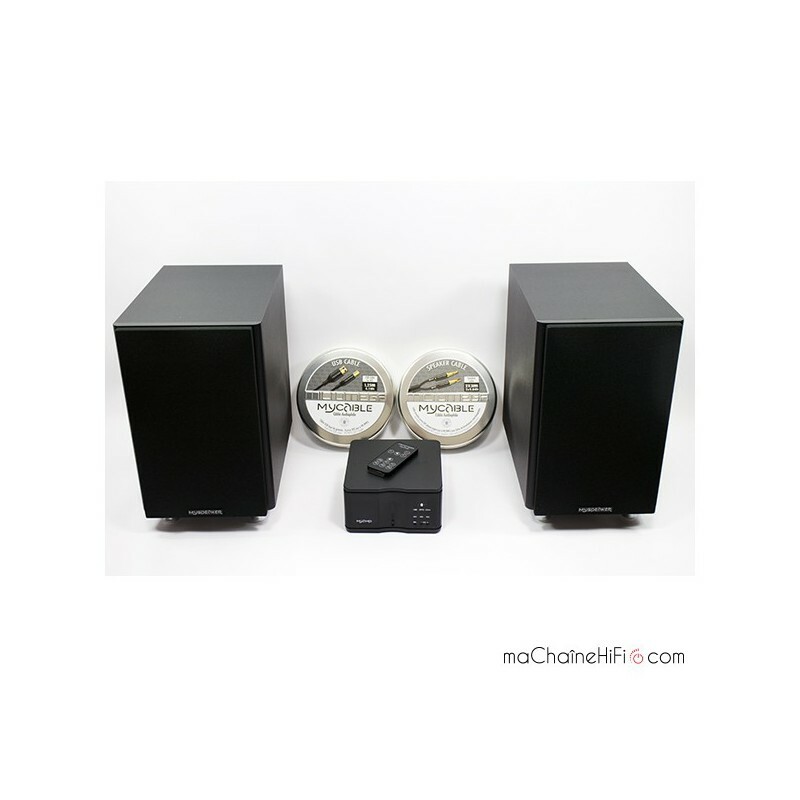 The combination of the functionalities of the MyAmp, the impeccable sound quality of the MySpeaker, and the impressive qualities of the connectors (speaker and USB cables), have resulted in a highly musical and user-friendly sound system. Interestingly, Micromega designs and manufacturers all of its products in France. Hooray!